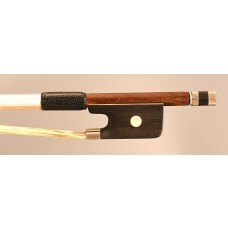 A fine French silver mounted cello bow by Dominique "Justin" Poirson. 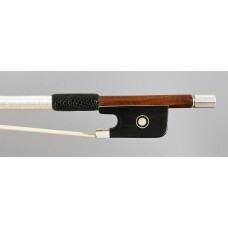 Beautiful professional silver mounted cello bow made by Dominique Justin Poirson - made ca 1900 - certified by J.F. Raffin. 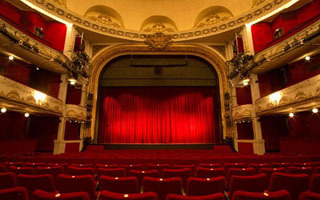 Dominique "Justin" Poirson was trained in Paris with the famous Nicolas Maire from 1865, then he worked for J.B. Vuillaume. After Vuillaume's death in 1875 he joined the Gand & Bernadel firm, then established himself independently in 1879. 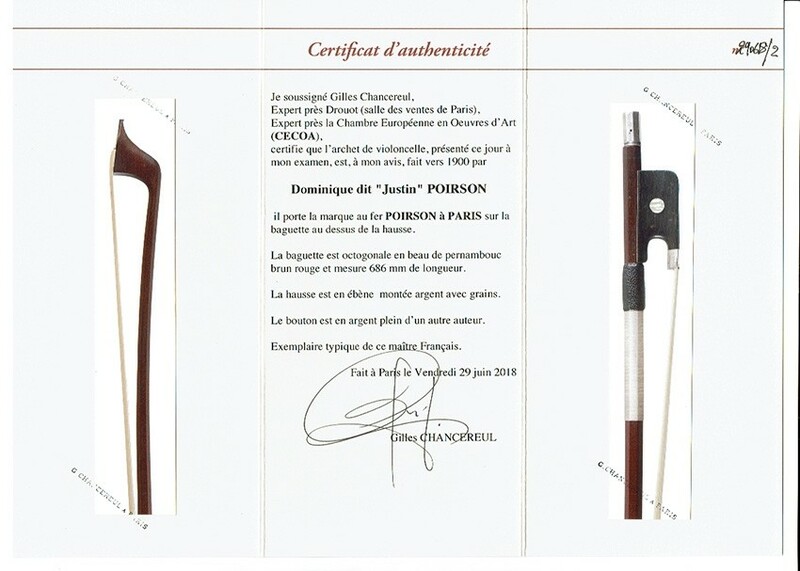 The beautiful ooctogonal stick is made of the finest brownisch/red pernambuco wood - original stamped 'Poirson a Paris". The stick has a fine curve, is strong but flexible with a good balance. 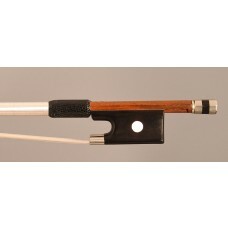 This bow plays easy and produces a big full cello sound - easy fast staccato playing. The length of the stick is around 689 cm (4/4 size) and the weight of the bow is ca 78gr. It comes with new silver winding and leather grip, ready to play ! Silver mounted frog with pearl eyes and silver adjuster, which is from the same period and style. 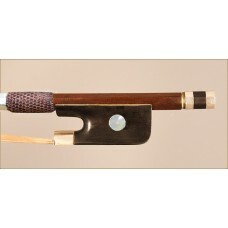 A very fine cello bow ! 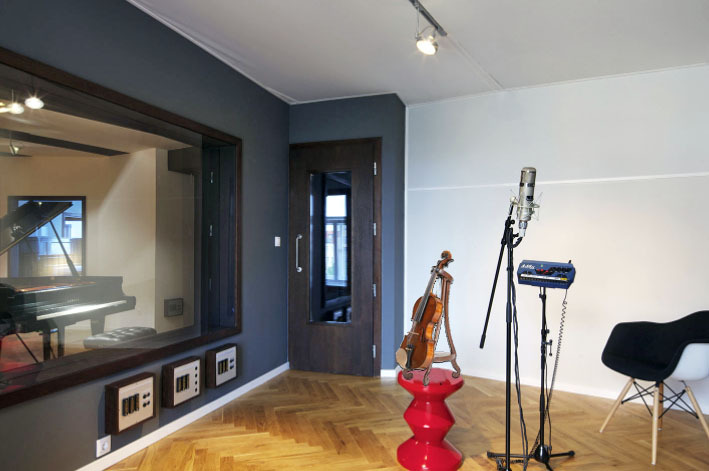 No sound sample available for dry room yet. 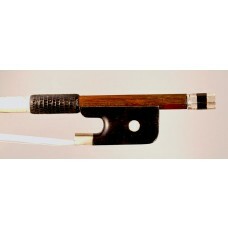 Please contact us at info@europeanviolins.eu to request a sound sample. No sound sample available for concert hall yet. Please contact us at info@europeanviolins.eu to request a sound sample. No sound sample available for this instrument yet. 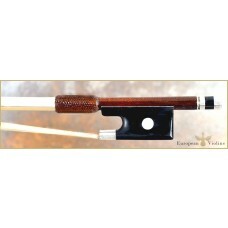 Please contact us at info@europeanviolins.eu to request a sound sample. © 2014 European Violins. All Rights Reserved.